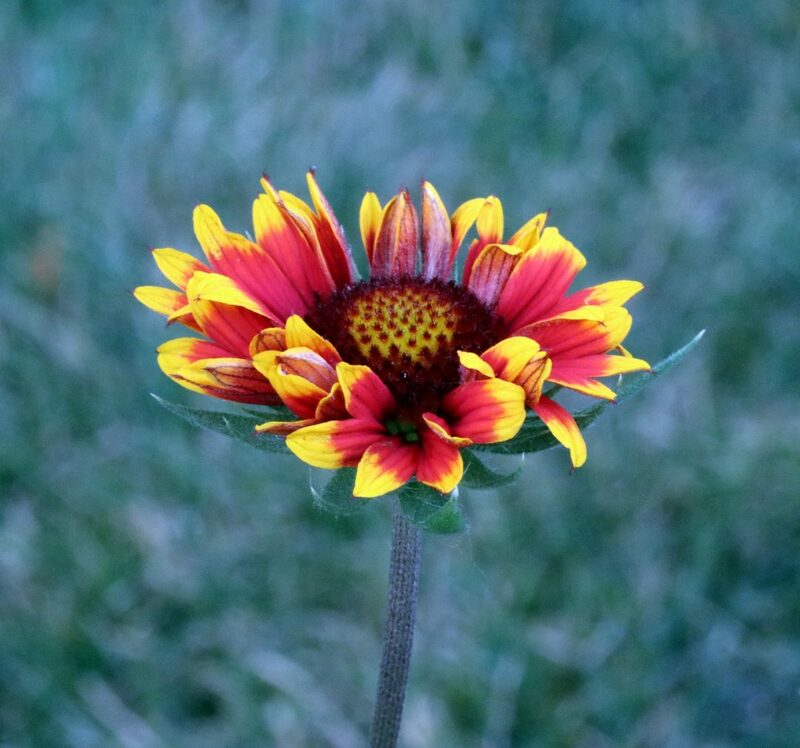 Here are a few pics of Blanket Flowers from my garden. It always intrigues me whether the bloom will turn out perfect or not. I love them all, imperfect or not. Is it dependent on the amount of sunshine they receive? Windsor, Ontario. © Rita Jacques 2018. Poppies are fleeting…they’re in their prime for only a brief moment in time. These photos would’ve been better taken the day before, and on a calm day…but this was still better than waiting until next year. You can see the age in the petals yet the blooms are only a few days old. I only… Continue reading Poppies! Sunny irises in my front yard. Last year there were five blooms…this year there were twenty! Woo-hoo! © Rita Jacques 2018 Windsor, Ontario. Gotta enjoy the tulips while they last! Nothing says springtime like tulips! Windsor, Ontario. © Rita Jacques 2018. Here’s a hyacinth for you! Welcome, spring! Windsor, Ontario. © Rita Jacques 2018. After the rain! My front yard, Windsor, Ontario. © Rita Jacques 2018. Anticipation! Hyacinth, not yet in bloom, in my front yard. Windsor, Ontario. © Rita Jacques 2018.